Hey, I ran out of time to do today's silly cover mashup! Why? Because I was doing the final cover artwork for the next Hazardous Tales book (the REAL cover!) 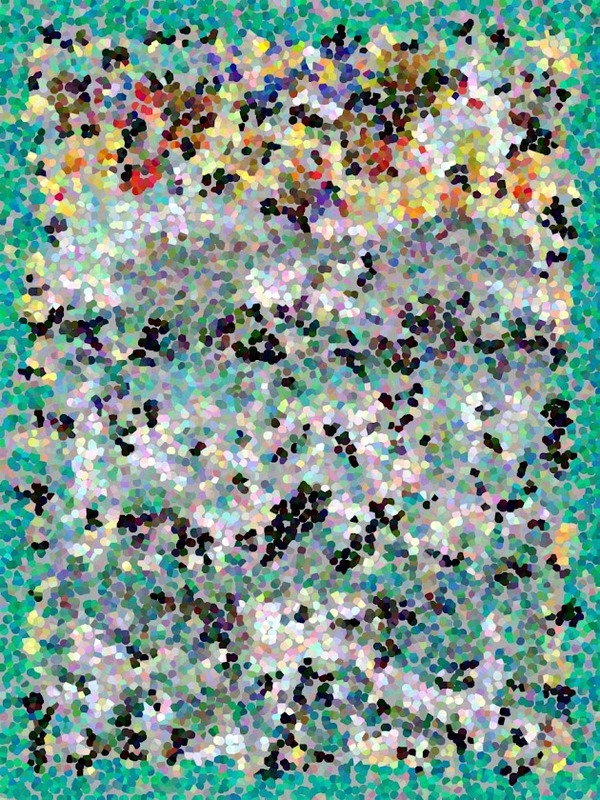 The subject matter is still secret, but here's a puzzled up version, can you make anything out? Any guesses? It helps if you stand back. I think there are some actual recognizable shapes in there. Back tomorrow with the next mashup cover at the Hazardous Sales meeting. I'm guessing WWI, but the Lewis and Clark bottle-o-thunder expedition could also be hidden in that pixelation. Wow, this is not a guess but an assumption! This palett of colors is amazing - I guess the sculpture behind it is more so. Color Everywhere, Yay! I used to seeing white and black or blue or yellow ever really you care and now there's colour everywhere. Left those hazy days behind me now - pure hallucinations maybe or Lottery Mashup guaranteeing a bank account in the Caymans or studies of choice - or sadly uncertainty prevails over tax maybe to ameliorate the current fragmentation of brittle rods under bending cast lead. Awesome color-mashup I love it!